iPhone 5 May Get NFC Payments After All? A Forbes blog by Elizabeth Woyke claims that despite recent rumors to the contrary, Near Field Communications (NFC) payment systems may indeed be coming to the iPhone 5. Woyke's sources include second hand information from an entrepreneur in the NFC industry. From what I hear, it is possible the iPhone 5 will include NFC. An entrepreneur who is working on a top-secret NFC product told me today that he believes the iPhone 5 will have NFC and cited a friend who works at Apple as a reliable source for the information. 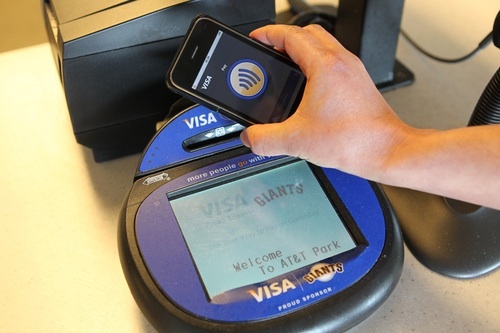 NFC manufacturers are also expecting the iPhone 5 will arrive with an NFC payment system. While we're sure that Apple engineers are working on the technology, this friend-of-a-friend report seems less credible than the Independent's report which claimed that Apple had informed international carriers that NFC was not coming to this year's iPhone revision. Apple is expected to launch the iPhone 5 this summer.